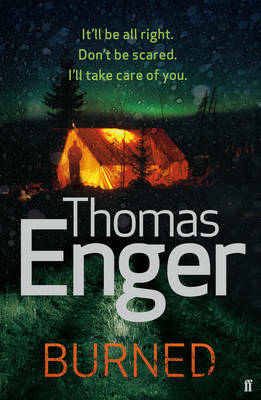 BURNED is a debut novel, which introduces investigative reporter Henning Juul who works in Oslo for an online newspaper. Henning is returning to work two years after the fire which left him with facial scarring and a limp and killed his son Jonas. Not only has he got the grief and guilt to carry but his ex-wife is now going out with Henning's immediate boss. Henning's first assignment is to interview the friends of a film student, Henriette, whose body's been found in strange circumstances in a tent in a park, apparently stoned to death. Henriette's Muslim boyfriend is soon arrested and though he claims it wasn't him, he refuses to cooperate with the police. Henning starts to follow his own instincts and starts to come to life a bit after his convalescence but when he interviews the boyfriend's brother, his life becomes endangered once again, this time by the appropriately named Bad Boys Burning gang. The story is told mostly from Henning's point of view but occasionally switches to the police in the shape of DI Bjarne Brogeland. Bjarne and Henning applied to join the police together but Henning's allergies prevented him from signing up. They are not quite friends but not enemies either. Henning is also helped in his investigation by an anonymous source in the police who contacts him via a bespoke computer programme. BURNED gives an insight into modern Oslo with its busy and bustling streets, multiculturalism and the gangs that are there, just as in any major Western city. Henning is an interesting character; it doesn't appear that the fire has changed Henning's personality, as he was divorced before and was a workaholic then. He's not lost his reporter's nose and begins to settle into his new skin though he now has compulsive behaviours in the way he has to locate smoke alarms and choose his seating with care. I enjoyed BURNED, I think it's a good read but perhaps not quite as stellar as I'd heard. It's told in a clipped present tense and holds the interest, but personally I would have preferred it to have been a tighter crime novel, more of a classic whodunit, with the "gang thread" removed and the focus being just on the student's death. Instead it seems as if there are two not quite overlapping crime threads making it a bit busy. Even as it is, it has a satisfactory number of twists and turns and surprises but these could have had more depth to them, given the space. Still, it's a debut, which are rarely perfect, and the ending sets up an intriguing sequel, which I look forward to. Read another review of BURNED.